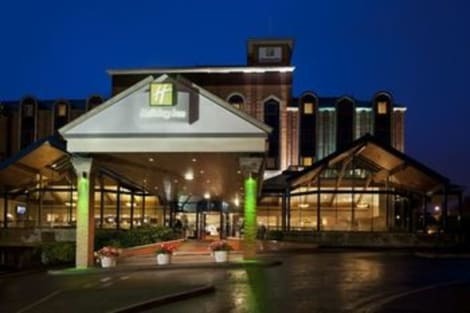 Britannia Hotel Bolton is quietly located close to the M61 motorway, 2 miles from Bolton town centre. With 96 well-equipped, modern and comfortable bedrooms, a welcoming restaurant and bar and complimentary parking, the hotel is ideal for either business or pleasure. Manchester International Airport is about 35km away and many attractions are within a short drive of the hotel including The Trafford Shopping Centre. 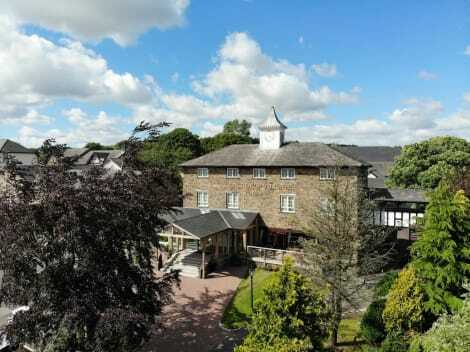 Located in Bolton, Last Drop Village Hotel and Spa is in the suburbs, within a 15-minute drive of Turton Tower and Hall i’th’ Wood Museum. 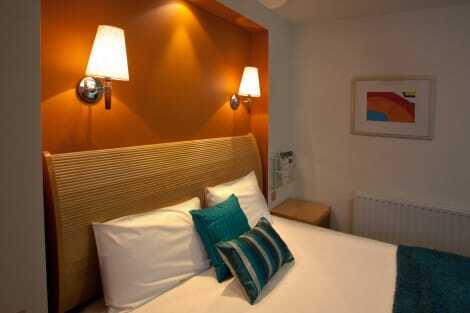 This golf hotel is 2.9 mi (4.7 km) from Bolton Open Golf Club and 3.6 mi (5.7 km) from Jumbles Country Park. A welcoming Bolton hotel in the town centre, with a restaurant and lounge barHoliday Inn® Bolton Centre hotel places you near the town’s market, shopping centres and train station.A 10-minute drive takes you to the M61 motorway away for easy access to Manchester and around the North West. Free parking is available, and it’s just a short drive to the green expanses of Leverhulme Park and Moses Gate Country Park. Business guests can host functions in the 8 flexible rooms of our conference centre. For special events, there’s a space for up to 300 people in a converted church. Complete with cloisters, arches and chandeliers, it’s a popular choice for weddings. 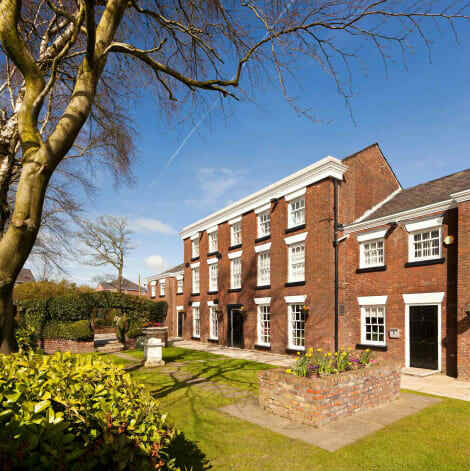 Bolton Town Hall is a 10-minute walk away. Macron Stadium, home of the Bolton Wanderers Football Club, is a 15-minute drive from the hotel. You can go behind the scenes with a stadium tour that takes in the changing rooms, dugout and media room.At this hotel you can enjoy:- Free WiFi throughout- Complimentary on-site parking- Kids stay and eat freeComfortably furnished rooms come with pillow menus to help you enjoy a good night’s sleep. Start your day with a full English breakfast buffet in the airy Hardies Restaurant, and dine on international dishes in the evening. After a busy day, unwind over drinks with friends in our stylish lounge bar. Built around a Georgian manor house and overlooking the spectacular West Pennine Moors, the Bolton Georgian House Hotel is ideal for guests wanting to blend comfort with style. Located just off the A6, this 3-star hotel is perfectly placed for guests to enjoy the best of both the countryside and the city. With on-site leisure facilities, meeting rooms and a dedicated restaurant & bar offering international cuisine, it's the prime destination for both business and leisure guests. Bolton, in Greater Manchester, grew rapidly during the Industrial Revolution. At its peak in 1929, it boasted over 200 cotton mills. It also has a long history as a bustling market town, and the outdoor stalls still return each week. Booking a Bolton hotel puts you close to both city and countryside. You're only ten miles from Manchester and an hour's drive from the seaside at Blackpool. The town's a popular destination for shopping, with a mix of big name brands, traditional market stalls and independent shops. You can see many of them on the Industrial Heritage Town Centre Walking Trail. The route also has 12 historic points of interest, such as the Bank of Bolton and a statue of famous Bolton man and steeplejack, Fred Dibnah. Bank Top Brewery is another attraction, and the oldest brewery in the area. Tours need to be booked in advance. The brewery owns and supplies two local pubs, The Brewery Tap and The Ale House. Enjoy comedy, plays and classics at the Bolton Little Theatre. There are typically seven plays shown per season. The amateur theatre lives up to its name, with fewer than 200 seats. The town's multicultural feel is visible in the range of places to eat. Bolton claims to be one of the friendliest towns in the UK. Whether you go for Chinese, Italian, Indian, Mexican or anything else, you'll enjoy great hospitality as well as delicious food. Bolton Market has won awards for the quality of its fare. It underwent a £4.5 million redevelopment in the 2010s. The market is usually open on Tuesdays, Thursdays, Fridays and Saturdays. Take the kids to Bolton's Museum, Aquarium and Archive for an action-packed day. There are special events on during the school holidays. If you only have a few hours to kill, catch a movie at Cineworld. At the Bolton Steam Museum, you can see numerous steam engines still in working order. The collection was started in 1966 by a group of local enthusiasts. The countryside and historic buildings are really accessible from Bolton. It's near to the West Pennine Moors, which cover 90 square miles. Families can take a leisurely stroll around the reservoir, and more experienced walkers and hikers can try routes across the moors.